While the Shen (Spirit) must be internally hoarded. No place should have hollows or bumps. No place should be cut off or extended. And the appearance is in the hand and fingers. Whether stepping forward or moving back. This will result in good timing and correct movements. Body movements become arbitrary and disordered. This sickness must be sought in the waist and leg. Above and below, forward and back, left and right are all like this. In general this is controlled by the Yi (Intent) and not externally. If there is left, immediately there is right. The Yi to go down is there immediately. Then there is the Yi to smash it down with increased force. And destruction will be swift and beyond doubt. Void and Substantial must be clearly distinguished. Every place consists of this, one Void and Substantial. Without causing the least break. Surging and flowing without interruption. They are the Eight Trigrams. 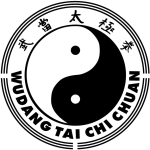 Are the trigrams Chien, Kun, Kan, Li, the four cardinal points. Are the trigrams Sun, Chen, Tui, Ken the four corners. Are Metal, Wood, Water, Fire and Earth.